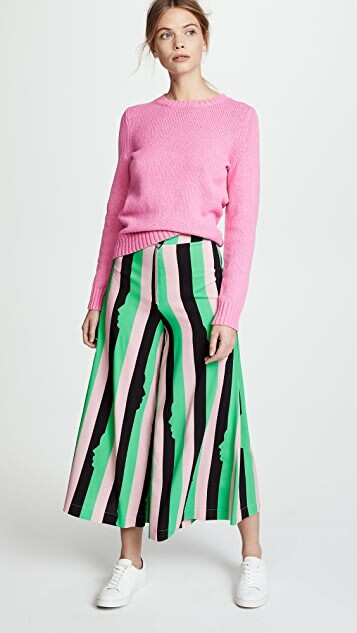 Candy-colored stripes and a heart-shaped zipper make these wide-leg Vivetta pants feel fresh. 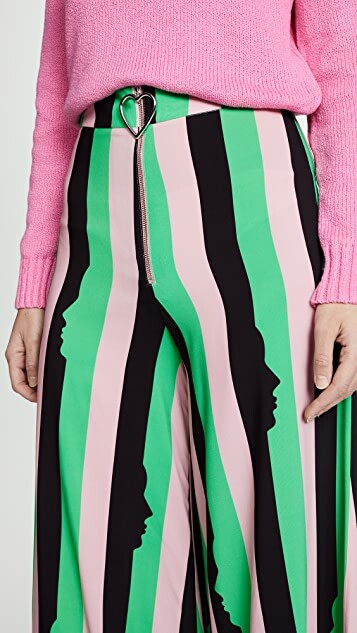 And the silhouetted shapes inside the stripes? Genius. After studying with the legendary couturier Roberto Cavalli, Italian designer Vivetta Ponti founded her Vivetta line in 2009. 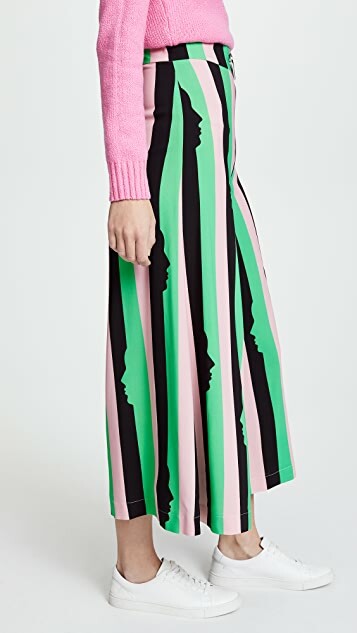 Inspired by her love of all things vintage, Ponti’s designs combine a saturated, 70s-inspired color palette with undeniably cute touches like animal appliqués and tidy ruffles. Sweet but not precious, Vivetta apparel is the perfect way to embrace your inner child while simultaneously demonstrating that you’re discerning and fashion-savvy. 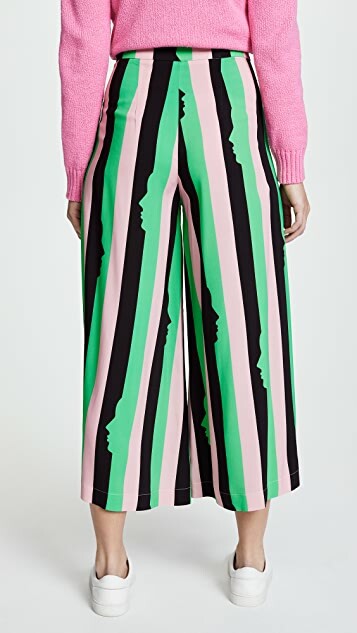 These pants are just amazing. 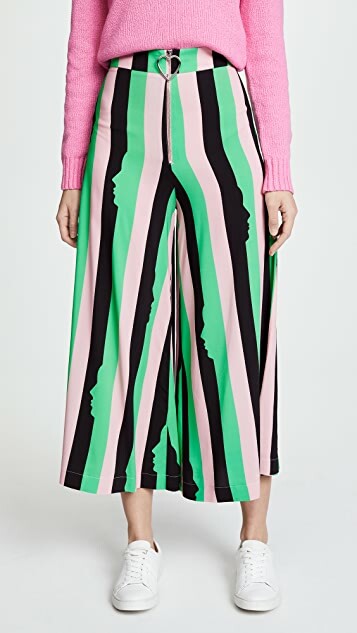 I will say they are definitely sized larger than what the conversion chart shows - I would put a size 40 at more between a 6 or an 8 if you want to wear them high waisted. 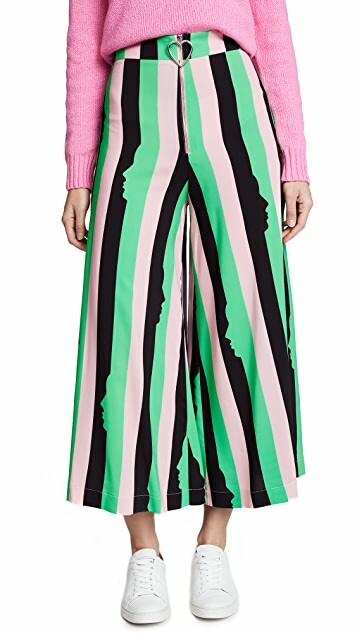 The only downside to these pants is that the material is EXTREMELY thin and really should have been lined for the price you're paying. But I love the pattern and the heart-shaped zipper pull so much I was willing to overlook it.